Reebok Korea has joined hand with Line Friends to launch a unisex capsule collection that scream SPRING with its pastel colour ways! 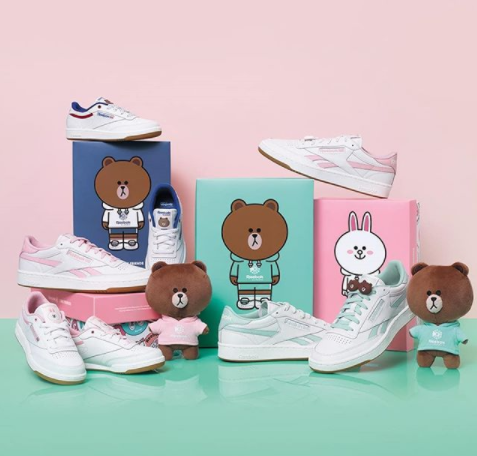 The collection offers 6 classic Reebok styles in mint green and powder pink, all subtly feature the popular Line Friends characters – Brown and Cony on the tongue of the shoes. The shoes even come in cute Line Friends custom shoebox, this is definitely a must-cop for fans of Line Friends. Shop the full collection here. Sign up with us and get access to our Korea warehouse, and we will bring them to you at only $3/lb!